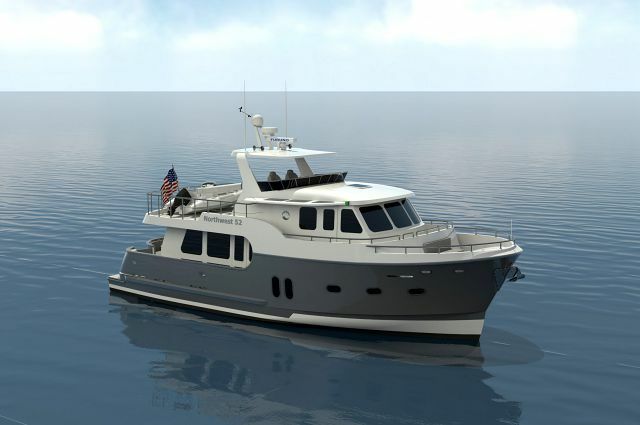 There is a lot of competition in the 70-foot expedition trawler-style cockpit motor yacht range, but the Northwest 70 set itself apart as an innovator built with safety and comfort in mind. Whether driving from the beautiful flybridge on nicer days or running her from the inside helm in the deckhouse, captains on board will appreciate the steady ride that the uniquely designed hull and 19’ 11” beam provides. 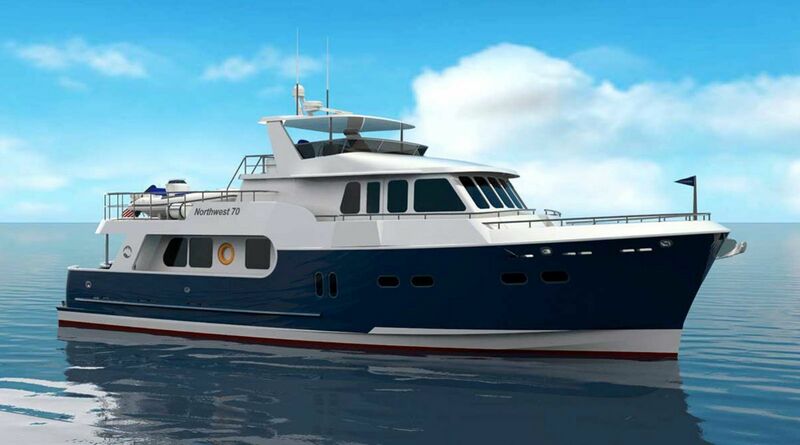 Powered with John Deere 6135 SFM85 750hp engines, the Northwest 70 will cruise at between 10 and 14 knots with a top end speed in the high teens. 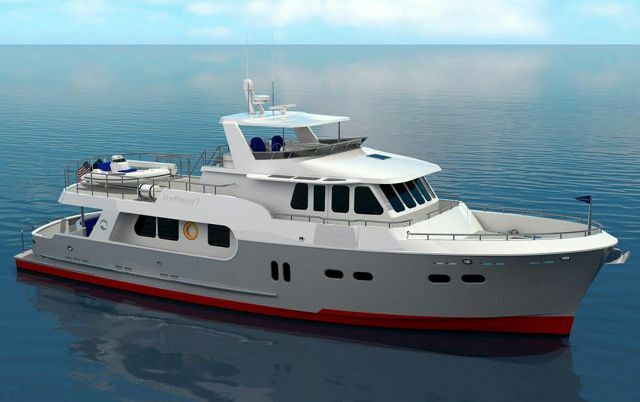 Cruising at 10 knots will give the 70 a range of over 1,200 nautical miles (with reserves and genset running). The Northwest 70 features a 3-stateroom layout with an amazing master suite, VIP suite, and an additional guest room with twin bunks. The captain on board has his own stateroom in the pilothouse. The master suite boasts a king sized berth, ample storage, a built-in settee, and a center island with drawers. There is a head inside the master stateroom accented with Corian counter tops and sinks and owners have the choice of Cork, Teak, Oak, or Amtico flooring. The VIP stateroom has a queen-sized berth that includes a hydraulic lift for accessing storage beneath the mattress, along with lots of storage space. 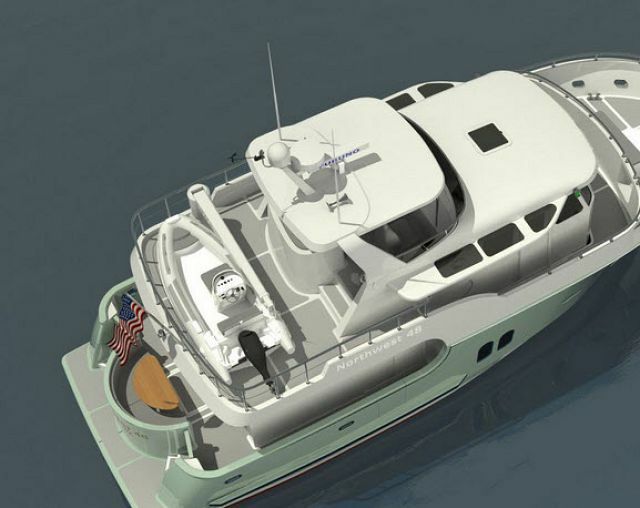 To learn more about the Northwest 70 cockpit motor yacht, contact your Seattle Yacht Sales Professional. Water Tank Capacity: 600 Gal. Black Water Tank Capacity: 300 Gal.